Issue 17 of The NZ Journal of Natural Medicine will be in stores in NZ in the first week of May and will reach Australian stores about four weeks later. 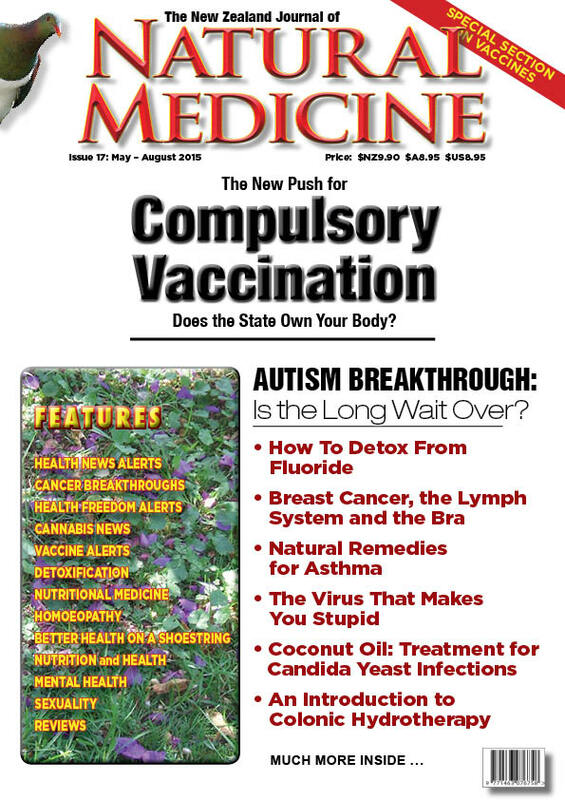 This issue of The NZ Journal of Natural Medicine covers the “hot button” issue of vaccination. In Australia, Tony Abbott’s recent announcement that families who have “conscientious objector” exemptions from vaccinating their children will lose these exemptions on January 1. 2016 and no longer qualify for “Child Care Benefit and Child Care Rebate and the Family Tax Benefit Part A end of year supplement)”. The loss of these benefits could cost a family approximately $15,000 per child. In our article on detoxification for this issue, naturopath Jillian Merz from the Colonic Health Centre discusses the history and health benefit of colonic hydrotherapy in which purified water is used to flush away accumulated waste. This issue will be added onto our online store soon. In the meantime, if you would like to buy a subscription starting fvrom issue 17, please click this link and you will taken your directly to the correct page of our online shop.